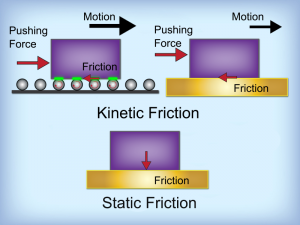 Whenever an object moves against another object, friction will be present, turning kinetic energy into heat and causing equipment to wear. Using lubricants helps to reduce this friction, allowing more work to be done for the same amount of energy input, lowering the temperatures of the materials in contact, and greatly extending the lifespan of the moving equipment. There are several different types of lubricants available for commercial use, each suited to particular applications and circumstances. They can be broadly classified into three lubricant types: liquids, semi-solids, and solids. Liquid lubricants, generally referred to as oils share the properties of all liquids, are able to flow, and take the shape of their containers. Semi-solid lubricants, typically referred to as greases, share many of the same properties of their liquid counterparts, but are designed to stay in one place or stick to the parts they are meant to lubricate. Solid lubricants, also called dry lubricants, are used where extreme pressures, temperatures, or operating conditions, such as vacuum, dust or dirt, and corrosive contaminants prevent using mineral oils and greases. There are several types of lubricating oils used in industrial applications, each with its own strengths and weaknesses. Mineral oils are composed of a complex mixture of hydrocarbons, and are produced by processing crude, or petroleum, oil. Synthetic oils are artificially made, typically, by combining organic chemicals into specific mixtures. Fixed oils, or biolubricants, are processed from animal or vegetable sources. They are rarely used by themselves as they tend to break down at high temperatures. Lubricity – Some lubricants are said to have high lubricity, or oiliness. This property comes from the chemical compositions of the oils, which reduce wear and friction even in extreme conditions. Viscosity – Viscosity is a measurement of a fluid’s thickness, or resistance to flow. The higher a lubricant’s viscosity, the thicker it will be and the more energy it will take to move an object through the oil. Viscosity Index – The viscosity index, or VI, of a lubricant describes how the oil’s viscosity changes as its temperature changes. As temperatures increase, viscosities decrease, and vice versa. Cloud Point – Petroleum-based lube oils contain dissolved wax. At a low enough temperature, referred to as the cloud point, this wax will separate from the oil and form wax crystals. These crystals can clog filters and small openings, deposit on surfaces such as heat exchangers, and increase the viscosity of the oil. Pour Point – The pour point of a lubricant is the lowest temperature at which the oil will flow from its container. At low temperatures, the viscosity of the oil will be very high, causing the oil to resist flow. This is important in equipment that operates in a cold environment or handles cold fluids. Oxidation and Corrosion – When lubricants are exposed to oxygen and certain metals or compounds at temperatures above 160 degrees Fahrenheit, they can be prone to oxidation. Oxidation of lubricants can lead to the formation of corrosive acids and a buildup of sludge. Oils are not always the best choice when it comes to lubricating components. Some situations require the lubricant to stick to a component, while others require lubrication for components that are typically not accessible. Greases can be used to protect against friction and wear, provide a seal from dirt and water, provide lubrication that does not drip off, and provide lubrication for an extended period of time. The hardness of grease is based on the standard classification of lubricating grease that is established by the National Lubricating Grease Institute, or NLGI. The hardness is based on the overall composition of all parts that make up the grease. Pressure – The pressure, or load, felt by the lubricant affects the type of product selected. Typically, the higher the expected pressure, the higher the viscosity needs to be so that the lubrication does not flow away from where it is needed. Extremely high pressure may require greases, solid lubricants, or high-viscosity oils containing extreme pressure additives. Temperature – If a system experiences a wide range of temperatures, a high viscosity index is necessary. Extremely high temperature applications must take flash, fire, and autoignition points into account, while very low temperatures must consider the lubricant’s pour point. Speed – Speed also affects the type of lubricant needed. There is a higher rate of wear at higher speeds, so a low viscosity lubricant that provides the least amount of friction would be the best choice. At slower speeds, a higher-viscosity lubricant will remain on the components longer, providing better protection. Environment – A lubricant must be able to withstand substances and conditions in its environment without a loss of performance. For example, if water is expected to be in a system, the lubricant must be able to resist emulsification. Additives – Most lubricants contain additives of one type or another that makes them better suited for certain applications.